Click on this and other photos to enlarge. 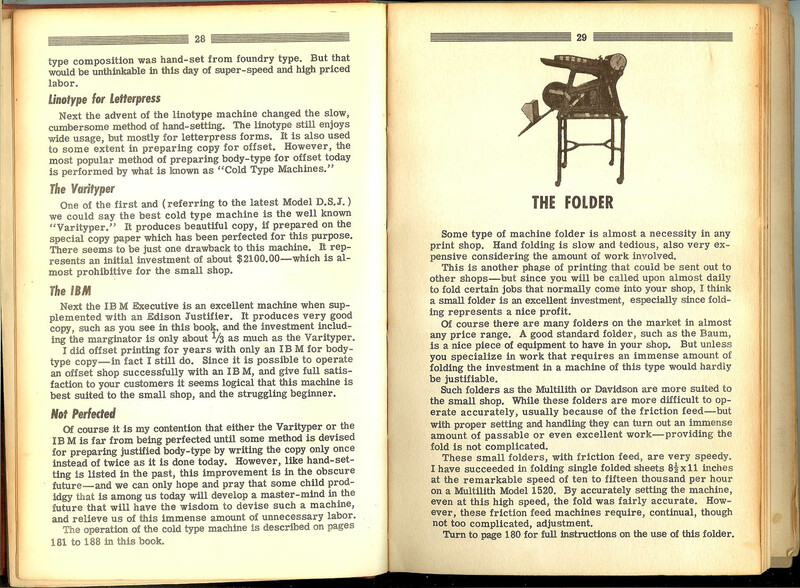 Scenes from Cleage Printers – 1960s. Most of these photographs were developed in the plant dark room. I wish I’d learned more about photography while there was that great dark room available and all those wonderful cameras. My uncles, Henry and Hugh Cleage owned and operated Cleage Printers for about a decade, from the late 1950s until the late 1960s. It’s difficult to pinpoint the time they started printing. They published a newspaper called The Metro in 1956. I’m not sure if they printed that themselves or put it together and had it printed elsewhere. On the March, 1960 marriage license for Henry and my mother, he listed his occupation as Printer/Lawyer. 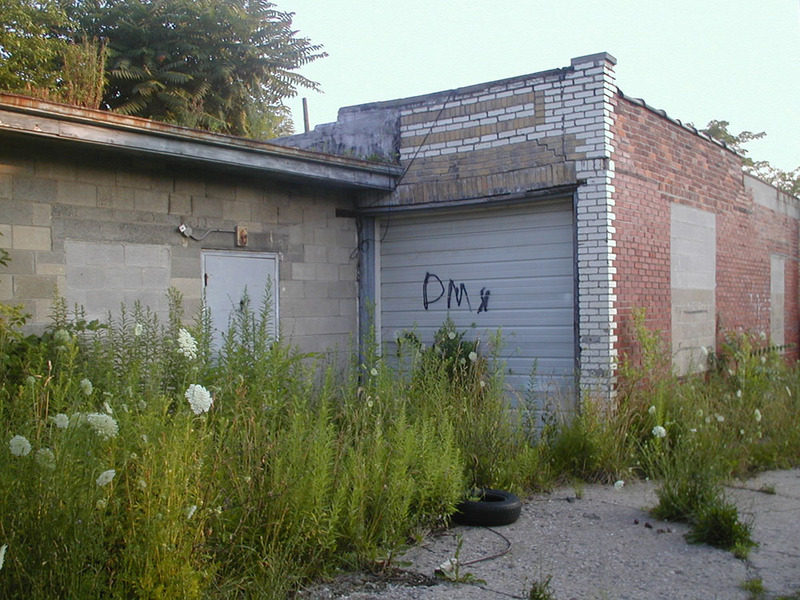 The plant, as we called it, was located behind Cleage Clinic at 5385 Lovett, near McGraw on Detroit’s Old West Side. Henry was an attorney and Hugh worked at the Post Office before they started printing. I don’t know if either of them had any experience printing before that. I asked my husband, who was also a printer for a number of year without much prior experience. He said it’s not that hard to learn while doing. 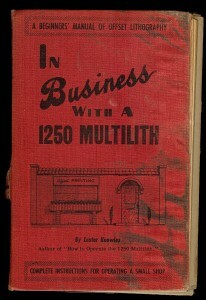 Maybe armed with “In business with a 1250 Multilith” they were able to set up shop and learn on the job. I still have the book. Uncle Louis, the doctor, put in the start up money for the press. Later when they had to upgrade Henry said that family friend, Atty. Milton Henry, contributed that money. 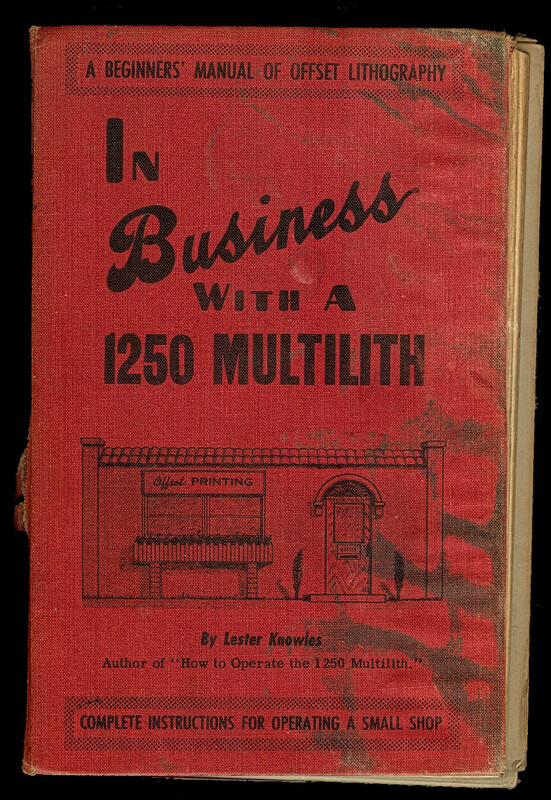 According to the memories of family friend, Billy Smith and my aunt Anna, they went into business for themselves because they wanted the independence of being their own boss and Henry had always been interested in printing. They had several long term employees and a number of young people who worked there for a short period of time. My aunt Barbara worked there for awhile. My sister and I worked there the summer I was 16. I learned to run the small press and use the Varityper described below. I remember Ronald Latham keeping up a running story about being a Venusian now living on Earth. Henry kept our first weeks wages of $10 to make it like a real job. He was supposed to give it to us at the end of the summer, when we stopped work but we never saw that $10 and we didn’t bring it up. If we had, I’m pretty sure we would have been paid. They made their money by printing handbills for neighborhood markets. 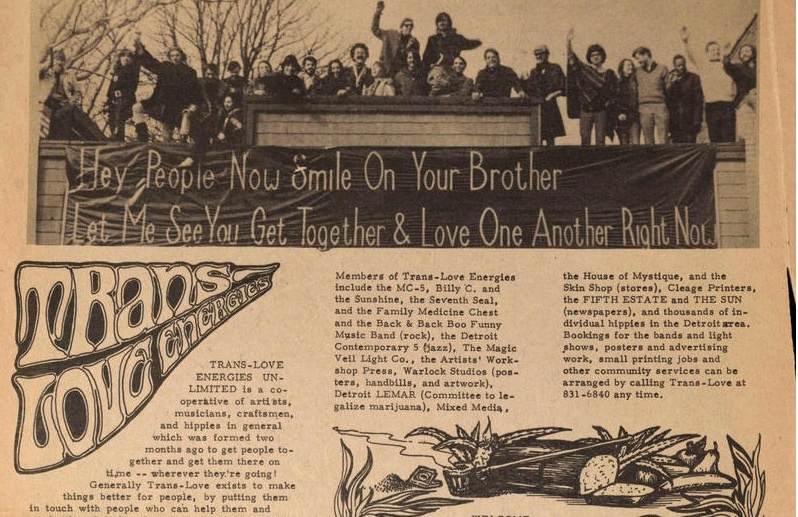 In addition to that they printed up flyers, newsletters, magazines for various radical black groups, materials for the Socialist Workers Party and the Detroit Artist’s Workshop. The printing plant was a place where people came to find discussion of the issues of the day and in the 1960s there were plenty of issues to discuss. 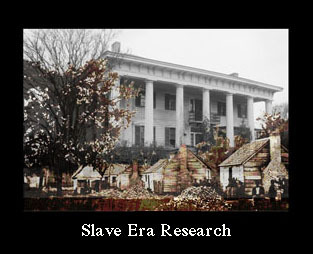 My Uncle Henry loved to hold forth on a variety of topics and his arguments were always well thought out and convincing. Hugh didn’t talk a lot but he would have something to put in, maybe just a quiet shake of his head over what Henry was saying. If Louis came back he would join in with his sarcastic comments and distinctive laugh. Four pages from the October 6, 1962 issue of The Illustrated News. They printed it on pink newsprint left over from the market handbills so it was often called the “pink sheet”. My uncles published it from 1961 to 1964. It started off as a weekly and eventually went to bi-weekly and consisted of 8 pages of commentary about local and national events of concern to the black community. My father wrote many of the article. My uncle Louis had a biting, humor column called “Smoke Rings” on the back page. I wonder if my uncles knew they were members of TransLoveEnergies. There they are, Cleage Printers, 2nd line, 3rd paragraph. In addition to grocery store circulars and race literature, Cleage Printers printed a variety of other alternative materials, such as a series of poetry books for the Artist’s Workshop in Detroit, headed by John and Leni Sinclair. Sometimes there would be things that had to be collated in the evening and all of us cousins and our mother’s would be down there at night putting whatever it was together. After the 1967 Detroit riot so many stores went out of business that they couldn’t make enough to keep going. Henry went back to law and worked with Neighborhood Legal Services. Hugh held on for another few years, printing for the church and teaching young people how to run the small press. Finally, he too left. I wish in all those photographs that were taken, one or two had been of Cleage Printers in it’s prime. All I have is a photograph I took in 2004 of the way it looks now, deserted and overgrown. I wish I had interviewed and taped Henry and Hugh talking about their experiences. The building that housed Cleage Printers as it looks now. 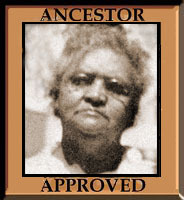 This was written as part of the 120 Carnival of Genealogy hosted by Jasia at CREATIVEGENE. Thanks Jim! If only you had started one of those businesses we talked about through the years, I could feature that. Your uncles were printers at their best–they made a living by providing a service for their community, and they also wrote and printed newspapers and newsletters that supported causes they believed in. Sheryl, that is exactly right. And I think they enjoyed themselves a lot of the time too. Maybe not all the working day and night, maybe. Wonderful memories Kristin to pass onto future generations… and with great examples of their work. Don’t we wish we and all ancestors had followed this advice? In all areas of life. I know cameras for everyday events are pretty recent but wouldn’t have been great if they’d either written out descriptions or done little sketches? My 2x greatgrandmother and her daughters were all seamstresses and sewed on their own but nary a photo, sketch or personal description. Hope your daughter takes your advice! So not only did you have family members who were readers and writers but printers too! How cool is that!!! I had to smile when you referred to the Varityper. My husband sold those early in his career. And I continue to be amazed at the close proximity of our families in Detroit. You have some really great period pieces, printing samples. I really enjoyed your article (and I’m enjoying your alphabet series too!). Thanks for participating in the COG, Kristin! I wonder if he sold my uncles their varityper? It is kind of amazing, isn’t it. Thank you for hosting the COG. Doing one always makes me look back in a good way. And I’m glad you are enjoying the street series. I probably wouldn’t have given so much attention to those streets without the alphabet series. Believe I commented on G+, but will here as well, your photos, as always, outstanding, and those artifacts, more than outstanding, your story telling, outstanding. So love reading your family history. 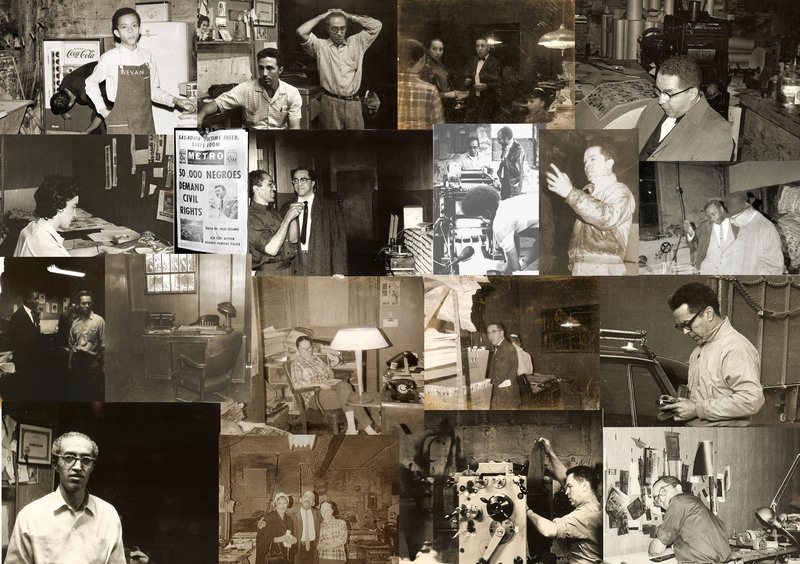 The story of your uncles printing shop was great — and most of all I like the collage of pictures from those printing days — a history unto themselves. Thanks for sharing some great memories and times. Very interesting, Kristin. I’m always impressed by owners of small businesses who are able to make a success of it. Even if you don’t have a photo of the outside of the shop when it was at its height of activity, at least you have all the photos (so many photos!) of the people working inside the shop. That is very true Nancy. I’d rather have all of those photographs than just one of the outside.